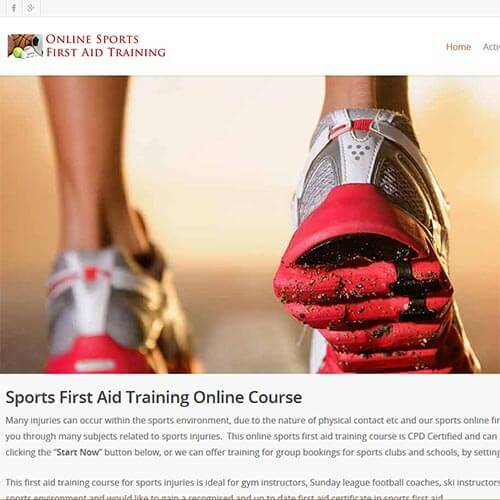 Online Sports First Aid Training offer CPD certified video based first aid courses that are aimed directly at sporting injuries. Their offer first aid for martial arts, outdoor pursuits and general sports first aid injuries and their courses can be conducted as individual bookings online, or groups can also be set for training, using an administration panel. They also offer onsite sports first aid training for group bookings, using their network of first aid instructors. For additional information regarding the first aid courses that that have available see their website by following this link: Online Sports First Aid Training.